"Canada has already proven itself as a formidable host for the world's game, setting FIFA records for attendance at the FIFA U-19 Women's World Championship in 2002, the men's FIFA U-20 World Cup in 2007, and the FIFA Women's World Cup Canada 2015™," said Victor Montagliani, president of Canada Soccer and CONCACAF. "We look forward to continuing our successful collaboration with fellow CONCACAF member associations U.S. Soccer and Federación Mexicana de Fútbol Asociación under the FIFA Council principles for joint bids and to continue our tradition of hosting record-breaking international events." Canada has hosted five FIFA tournaments including the FIFA U-19 Women's World Championship Canada 2002 at which the 47,784 final match crowd set (and still holds) a record for the largest attendance at a FIFA women's youth competition. Canada Soccer continued to build momentum five years later for the FIFA U-20 World Cup Canada 2007 which drew a then-record 1.2M fans to the 52-match competition in six Canadian cities. “This is an important step for Canada Soccer as we continue discussions with our partners,” said Peter Montopoli, General Secretary, Canada Soccer. "As we work through the next steps with our partners and stakeholders, we look forward to outlining a more comprehensive plan in the coming months. 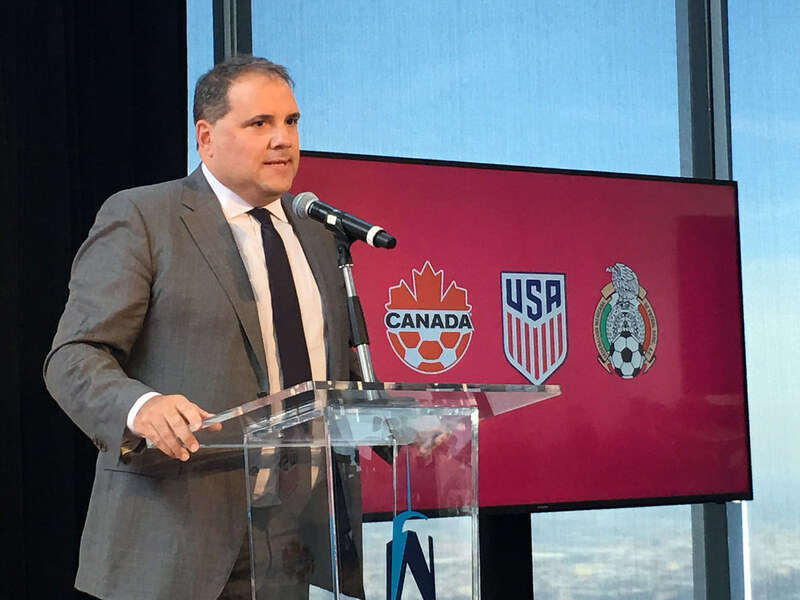 A unified bid between Canada, USA, and Mexico for the 2026 FIFA World Cup™ will help ensure a world-class event for the world's most popular sport." Mexico was the first nation to host the FIFA World Cup™ for the second time, having held the event in 1970 and 1986. Argentina's Diego Maradona captured their second title in three tournaments at the 1986 FIFA World Cup™. Mexico later became the first host country to win the FIFA Confederations Cup, collecting the title on home soil in 1999. They repeated that feat at the youth level with a victory in the 2011 FIFA U-17 World Cup.